Bathroom Architecture has gained lot of importance in the recent years. People are beginning to like trendy bathroom ware and make it all spacious and lavish. 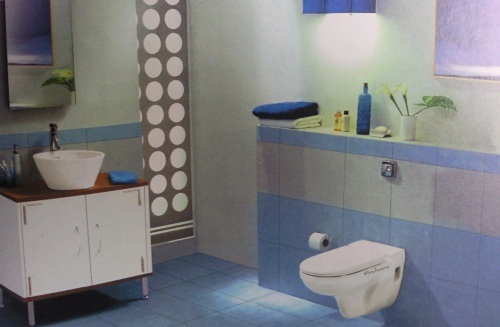 The concept of Modern Bathrooms has brought about a revolution in the field of Bathroom designs. The choice of colours for the bathrooms that is the colour schemes are also decided by the users very carefully to suit the ambiance of their lavishly designed bathrooms. When it comes to selecting the colours for the Bathroom design, white dominates, followed by ivory; two colors that are considered neutral and match any tile background. In addition to this, a sparkling clean white toilet speaks a lot about an individual. Hence, people prefer white to other colors. In terms of deigns, geometrical and fusion are in vogue. Though the new trend emphasized on a simpler, spacious and cleaner bathrooms, its use to inculcate the personal style of individuals into their baths is also on the rise. Various different trendy bathroom products have come into picture and the demand for the products is ever growing. More and more people are using these products to add some personality to their bathrooms. There are various designs and wall finishes available for the design of bathrooms which add elegance to the space. Other trends in bath spaces include ergonomics issues, dry bathrooms, water saving, streamlined design trends, new technology and ease of use. In Bathrooms, we have had a long period of geometric forms especially rectangular forms. In the future, there will be a need for a new form, for new emotion. People get bored with the usual style of design and usual shapes and forms. They always keep craving for something innovative, something new. Stylistically we are interested in modifying pure geometry to create a sense of gentle movement. Everything will become more joyful and livelier. But freer emotional forms always run the risk of drifting short-lived fashion trends. The bathroom designs are merely created for some whims and fancies are enjoyable only for a short time. Our aim is to banish such trends and create something that would feel pleasant and enjoyable for a long time. Such ideas of enjoying this newly appreciated space have also impacted product offerings. The use of shower panels and shower cubicles are being preferred to bath tubs by people all over the world. Bidets are slowly in the race of replacing European Water Closets. Bath tubs was very popular but now people are getting more inclined towards using standing units like shower enclosures. There has been a drastic increase in the apartment culture. The apartment culture is getting more prominence. People are opting for dryer and spacious bathrooms and the need and scope for compact bathroom fixtures has considerably increased. 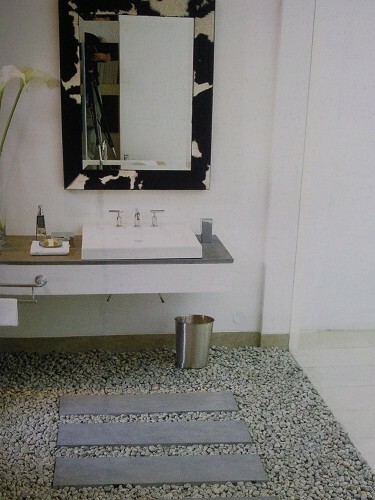 Bathroom Architecture is booming in Asian Countries and other developing nations. The World economy recession has affected most of the countries in the world but the Construction Industry still seems somewhat stable. This entry was posted by Benzu JK on July 15, 2010, 2:57 am and is filed under Architecture. You can follow any responses to this entry through RSS 2.0. Bathroom reminds me of the some of the nighclubs around here with the flooring and colour styles. Wonder if it’s something that would work in my place.